In this competitive world, it is difficult to land the dream job. To achieve success, it is critical that you as a job aspirant possess something that the others do not have. Adding skills to your work experience will do a world of good to your resume. 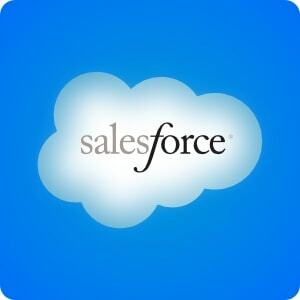 One of the ways of cutting across competition is through Salesforce cloud service certification. That will help you polish your skills as per the domain you work and boost your career by displaying your competency most effectively. Demand will grow: Companies are looking at IT professionals who are trained in Salesforce or other cloud computing technologies which can implement it in a cloud in a seamless way. Many unfilled positions in India can be your next job provided you have gained the required knowledge and expertise by undergoing salesforce certification training. There is also a rise in the number of jobs for Salesforce and certification in it will enable you with the necessary skills for the job. Knowledge of the domain: When you have a Salesforce cloud service certification you will have an in-depth knowledge of the platform. That will help you gain more insights into sales and customer service. You will also get to know various tools that you would not have known before despite being an expert in this domain. Gain experience: The salesforce certification training in Chennai will also provide hands-on experience with industry relevant live projects. There will be case studies on real-life situations which will help you learn a lot. Apart from the study material they provide they also provide lab practice and be thought by industry experts. Even if you are an experienced salesforce professional, you will learn to engage with the customers actively. Increased productivity: Employees who are certified will not have the necessary experience to work on tools which may be web-based or mobile based applications. That improves not only the productivity of the company but also the agent as well. Better customer experience: The salesforce training and certification trains people in customer relations and thus agents can connect to the customer. There is an improvement in the communication, and hence there are more happy, satisfied and loyal customers leading to repeat business and an increase in lifetime value and better branding. Better implementation of salesforce cloud: Many companies faced a problem while using the salesforce, due to lack of a solid functional plan to optimally use it. Due to which they could not use all the functionality to its full potential. Salesforce certification training in Chennai enables employees to fully optimise and customise the salesforce as well as lead and advise others. The company gets benefited from certification. There is a massive demand for experts in every field, and the same is the case in cloud salesforce. Companies are looking to hire professionals that is an asset to the organisation and certification provides a lot of help.